Lydia Lee is sixteen, struggling in physics, exaggerating her social life, trying to live up to her parents' expectations. Lydia Lee is also dead. A child's death would undo any family, but this family, living in a small Ohio college town in 1977, seem wholly unmoored for many different reasons. This child, the middle child of a history professor of Chinese descent and his Radcliffe-educated (premed until she got pregnant and dropped out) wife, seemed to encompass the hopes and dreams for the entire family, and when she's gone, what does that mean for the rest of them. 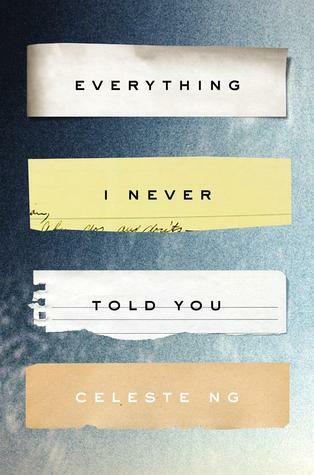 Everything I Never Told You is beautifully written, thought provoking, and absolutely haunting. We don't know if Lydia's death was an accident, a murder, or a suicide, and as the story progresses, we see how the dynamics of her family and her life led her to the lake that took her life. Her parents, both sad and solitary, both tentative, both formed by how different they wanted to be from their parents and the ways they fell short, both unsure in their relationship with each other, both have high hopes for Lydia. Marilyn wants her to be a doctor, as she surely would have been. Every gift she receives from her mother is a book about women in science or a stethoscope. Her father, on the other hand, wants his daughter to have friends, to be popular, even though she is from the only Asian family in town. He gives her party dresses and Dale Carnegie books and encourages her to go to school dances. While Everything I Never Told you is ultimately hopeful, most of the book is incredibly sad. As a parent, I'm hyper attuned to the fact that what I say can be misconstrued by my kids (or correctly construed, as the case may be), and this book seems to focus on all the myriad ways we can screw up our kids. It's a hard book to read, but also a beautiful, worthwhile read, and a useful reminder for parents, especially for parents of teenagers. Linda Wallheim is a bishop's wife. if you're a Mormon, that sentence carries with it a whole set of expectations. You probably had an immediate picture in your mind of what Linda Wallheim would look like based on the fact that she's married to an LDS bishop. Linda is the mother of many (five sons, plus a stillborn daughter), doesn't work outside the home, and lives within spitting distance of the temple in Draper, Utah. But when a woman disappears in the ward, Linda involves herself in the situation in a way you might not expect from a "proper" bishop's wife, and as the book unfolds, and more secrets within the community come to light, Harrison challenges and questions many of the stereotypes we Mormons hold so dear. While the whodunit of The Bishop's Wife is creepy, complex, and compelling in its own right, what makes the book a 4-star read is the way it analyzes LDS culture. Unlike many of the mysteries I've read for the Whitney awards over the years, The Bishop's Wife is not necessarily written for an LDS audience (It's published by Soho press, a mainstream crime publishing house). While many authors would whitewash our culture, focusing on the positive, and others might focus only on the negative aspects of Mormon culture, Harrison doesn't paint with broad strokes. She acknowledges stereotypes and expectations (temple marriage is a side focus in the story) but she isn't heavy handed. Instead, she explores how Mormon culture can have positive and negative effects in the lives of church members. I love the way that the culture influences the mystery, and the graceful, reasoned touch Harrison uses when presenting the story, especially as seen through Linda's eyes. It's been six months since Charlotte and Kyle broke up, and Charlotte, who was heartbroken, has kept herself off the shelf to regroup and figure out what she wants from life. Kyle, however, has gone and gotten himself engaged (just like all of Charlotte's previous boyfriends). Once Charlotte realizes that Kyle has moved on, she makes a deal with her friend Aleena that she will fix Aleena up with her best friend Angus, and she will go out with Flynn, a tourist from Scotland who will surely ease her back into the dating scene. But as time passes and Charlotte watches Angus and Aleena fall in love, it becomes clear who she wants to spend her own future with. But is it too late for Charlotte to have a happily ever after? 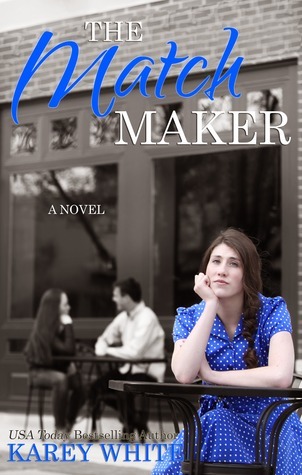 Fans of The Husband Maker will undoubtedly be satisfied with The Match Maker. White does a nice job progressing the story in exactly the direction readers want it to go, while throwing some interesting complications in the way. Instead of an antagonist, Flynn was a satisfying diversion for Charlotte, an opportunity to expand her character and help her know herself better than she did before. The book is a quick, easy read. I finished it in a day, which tells me that I was compelled enough by the story to keep listening. I do think that the story spends a lot of time on details that could be omitted (bagel flavors, descriptions of clothing, etc...), and I'm not sure if it's because I listened to the audiobook, but the dialogue tags ("Charlotte said," "Angus said," "everyone said") started to grate on me after a while. I'm not sure if this was because of the reader or because there were entirely too many dialogue tags. That said, I enjoyed listening to The Husband Maker, and look forward to seeing how Charlotte can win Angus back in the third volume. Content Alert: A few "damnables." As a member of the Whitney Committee, I've had the opportunity to read a whole bunch of historical romances over the last five years. It seems that many of these stories are set in the Regency period in England, and that a majority of those stories seem to be written in the vein of the Jane Austen greats (with varying degrees of success). 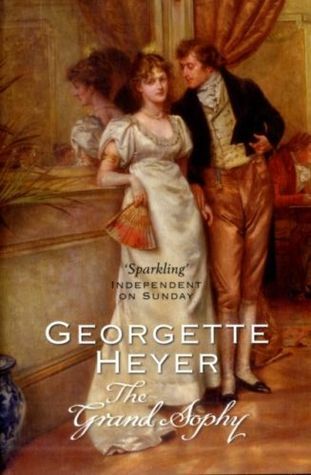 When I've talked with my friends about these novels, they invariably throw around the name Georgette Heyer as the gold standard in Regency romances. I had never read anything about Georgette Heyer, and when this book came up as the Audible deal of the day, I snapped it right up and started listening. Heyer is pretty amazing, at least in The Grand Sophy, which is the story of what happens when the wealthy Ombersley family agrees to take in their cousin Sophy, whose father wants her to have a season in London after growing up abroad. Sophy is essentially a Mary Poppins of her time. She swoops in, monkey in tow, and proceeds to whip the dysfunctional family into a state of functionality. There are engagements to undo, debts to pay, horses to break, and hearts to heal. The book is wildly entertaining, and unlike so many other Regency romances I've read, Heyer gets her details right-- the characters talk in a way that sounds like they could come from their time period, but never in a way that distracts from the story. I couldn't tell when the book had been written (and was surprised to find out it was published in 1950). The characters feel fresh (if a little flat at times), and even though I knew what was going to happen at the end of the novel, the madcap finale was fully satisfying. This might be considered the best of Heyer's works, but it won't be the last I read. You know the story already, right? The move is one of your favorites, right? For the uninitiated, Michael Corleone is the youngest of Don Corleone's three sons. The Don is the head of the largest crime family in New York, having risen up the ranks from being an unemployed orphan immigrant. Michael is the golden child, the war hero who chose the Ivy League over the mob. And The Godfather is the story (among other things) of Michael breaking bad. He seems (mostly) motivated by love and loyalty, with a healthy dose of hubris thrown in (in the best Shakespearean tragedy sort of sense). But The Godfather is more than just Michael's story-- we learn about the intimate details of everyone from a godson living in Hollywood to Don Vito's oldest son's former mistress's fiance. All of the stories are told well and are compelling, and, of course, I feel a movie marathon in my future. One of the greatest pleasures in my day is getting the Audible Daily Deal email. It's always there when I check my email first thing in the morning, and I love seeing what could occupy my brain for 10 or 12 hours for just $1.95 or $3.95. I believe that's how The Godfather fell into my Audible queue. 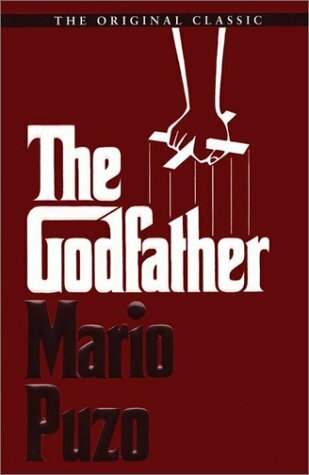 Of course, I've heard of The Godfather a lot over the years, but I've never seen the movies, and until a few weeks ago, had never read the book. As a result, I wasn't aware of the pivotal role The Godfather plays in our cultural stew. I mean, I've watched every episode of The Sopranos, and so many of the situations and characters obviously have their roots in The Godfather. Or maybe they both have their roots in the same New York/New Jersey crime syndicates, but either way, The Godfather must have influenced The Sopranos, because I can't imagine that David Chase isn't familiar with the book. As an added bonus, the audiobook is expertly narrated by Joe Mantegna, and worth listening to just for that fact. It takes a lot for me to give a book a five-star rating. It also takes a lot for me to fall in love with a book that is a sequel, especially a sequel to a sequel, and even more if I haven't read either of the first two books. 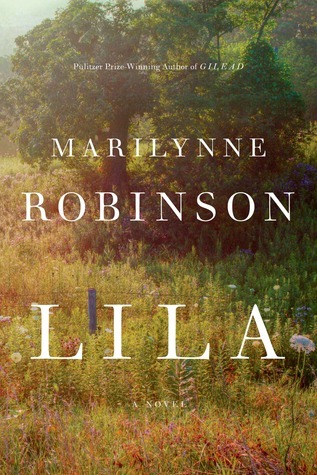 I've heard a lot about Marilynne Robinson over the years. I've heard my friends drooling over Gilead and Home, the first two books in this series, but I tried my hand at Housekeeping a while back (one of Robinson's stand-alone books), and I hated it. So it was with a lot of reluctance that I started Lila, and I was surprised that within an hour, I was completely captivated by the story. If you're familiar with Gilead, Lila is the story of John Ames's wife in his twilight years. She was stolen from a front porch at the age of about four, and lived a hard life until she wandered into Gilead about thirty years later. She doesn't feel worthy of much, and certainly not of becoming a preacher's wife. Lila explores her experiences with living a life she never thought would be hers-- especially with falling in love and having a home and a child, and maybe even at being redeemed. The book is beautifully written and thoughtful and nuanced, and definitely one of the best things I've read this year. Sutter Keely is the kind of guy I watched from a distance in high school. He's the life of every party. He has a huge heart. He's also trouble with a capital T. The opening scene of the novel pretty much sums up his character-- Sutter is supposed to be driving to his girlfriend's house to take her to get her hair cut, but instead he's nursing a 7Up spiked with vodka while driving around Oklahoma City, skipping school on a beautiful late winter day, when he spots a small boy all alone. Sutter finds that the boy is running away from home (and not sure exactly where he lives), and the two spend the next hour finding his house, where Sutter gets bawled out by the boy's mother, and then gets bawled out by his girlfriend for missing the appointment. He doesn't have much of anything together, and he has a serious drinking problem. When the girlfriend dumps Sutter's sorry self, he starts hanging out with Aimee, who is smart, but nerdy, and totally clueless. She's spent most of her high school years delivering a paper route for her mother, and her stepfather and brother boss her around regularly. A normal YA novel would probably have Sutter clean up his act as a result of hanging out with Aimee, while Aimee would gain some social skills and a backbone. But that's not what happens. What does happen instead is more realistic and messy, and definitely worth reading to find out. 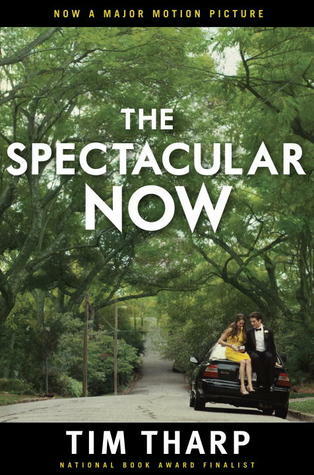 I love that Tharp is working with ambiguity and complicated characters in this novel, and I'm now eager to watch the screen adaptation of The Spectacular Now (starring Shailene Woodley as Aimee and Miles Teller as Sutter). I heard David Sax on talking about his new book, The Tastemakers, on RadioWest a month or so ago. I was out walking the kids and the dog, and I was so captivated by the conversation that I came right home, bought the book and started reading. If you've been reading my blog for a while, you know that I love this kind of stuff-- where food intersects with pop culture. 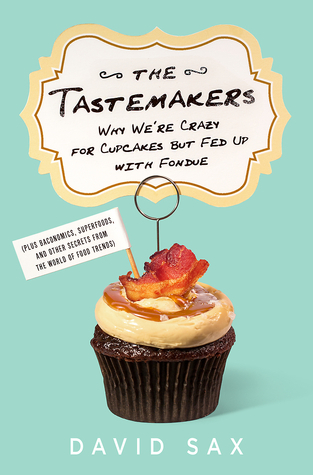 In The Tastemakers, Sax explores food trends-- what makes a trend grow big (basically, put it on an influential television show or launch it in NYC), how future trends can be predicted, why some trends make it while others don't, and where good food trends go to die (The Melting Pot, apparently). Sax does a nice job educating his reader while being entertaining, Part journalist, part memoirist, Sax goes to apple orchards in Canada (what will replace the Honeycrisp as the darling apple of the next decade? ), to Baconfest, and to Dole with a group of food bloggers. However, there wasn't a lot I felt like I learned about food trends from the story, beyond what Sax and Doug Fabrizio talked about during the hour-long show. Still, this is an entertaining, quick read, and good for anyone who wants to know why the heck we're all eating kale chips and chia seeds right now. 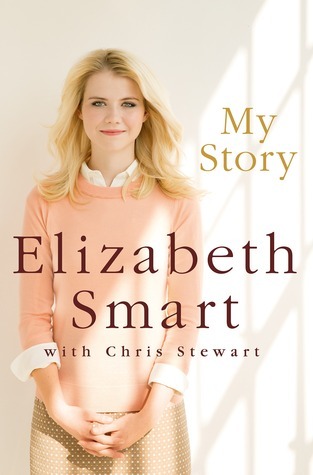 Elizabeth Smart doesn't hold back in My Story, which begins at the time of her abduction in June 2002 by Brian David Mitchell and Wanda Barzee, and ends shortly after she is reunited with her family in March 2003. The book is detailed (she writes about being raped daily), and honest, and insightful, and, at times, faith-promoting. It's also incredibly hard to read. My twelve-year-old daughter wanted to listen to the audiobook after one of her church leaders talked about it, but I told her I thought it would be a better book for her to read so she could skip some of the more graphic parts. I think that having Smart narrate her book had some pros and cons. On the one hand, it's interesting to hear the story in her own words. On the other hard, she is not a professional narrator. She sounds really scornful when she talks about Barzee and Mitchell, which is completely understandable, but I felt like it detracted from the overall story at times. This was a book I wanted to love, and wanted to be able to give a great review. It is very honest and brave, but it also has some significant shortcomings that made it hard to read at times. I'll come clean with my biases first. I'm not a huge fan of biographies. I'd rather read ten memoirs than one biography. 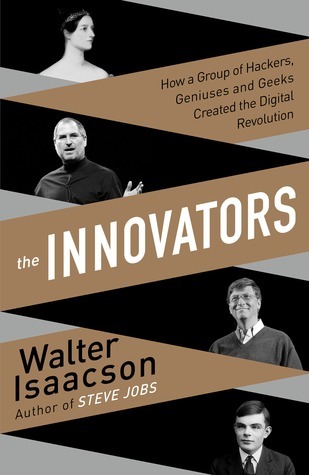 One of the most notable exceptions to this rule of thumb was Walter Isaacson's fantastic biography of Steve Jobs, and I decided to read The Innovators on the strength of that book (I have tried, and failed to read his Ben Franklin bio, and I think I own a copy of his Einstein bio too). The Innovators isn't exactly a biography-- instead it's more of a history of the digital revolution, which boils down to a whole bunch (maybe 50 or so) mini bios of individuals who have played significant roles in the revolution, from Ada Lovelace (the daughter of Lord Byron, who created the first algorithm carried out by a machine) down to Sergey Brin (Google) and Larry Sanger (Wikipedia). Isaacson posits the theory that the most successful innovators were people who were well-rounded-- interested in both artistic and scientific pursuits, and who had a supportive community with whom they could work. In fact, Lovelace had Babbage, Brin had Page, and Sanger had Wales (just as Jobs had Wozniak and Gates had Allen). Honestly, I found the first half of the book to be deathly boring. The chapter on Ada Lovelace was pretty captivating, but from then on it was dullsville, jumping from professor to professor and their petty battles over vacuum tubes. The story got really interesting at the end of WWII, when a bunch of female programmers, including Jean Jennings and Grace Hopper, were hired to work on an early computer. They developed a language (COBOL) which enabled them to write commands for their computers using language rather than numbers. These women are generally credited with shifting the innovating focus from hardware to software development. The rest of the book was much more interesting, especially as Isaacson focused on characters who continue to play a huge role in our lives (where would we be without Google and Wikipedia? I've used them both half a dozen times while writing this review). So a worthwhile story, but it definitely had a slow start. I've read some critics who feel that Isaacson cherry picked innovators who fit into his "artist+scientist" thesis, but I don't know enough about the history of computer science to verify that. As for me, while I'm glad I read the book, I still think reading memoirs by some of the main players would have been far more interesting. Yesterday, I wrote a little bit about my feelings about PD James, who was probably the greatest mystery writer of her time. 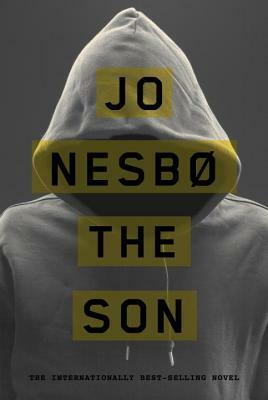 While I crush on Adam Dalgleish in a way that I don't on Harry Hole (the detective at the centre of most Jo Nesbo novels), I really do think that Nesbo is probably the most talented writer in the mystery/thriller genre writing today. His novels are hard, and violent, and gritty, but they're also insightful and fast-paced, with wonderfully rounded characters. He also manages not to throw out a bunch of red herrings, instead tying in all of the loose ends of a story in a satisfying way. For the last dozen years, Sonny Lofthus has been able to maintain his heroin habit in prison by confessing to a series of crimes he didn't commit. But when he discovers that the people who have kept him doped up may also have been responsible for his father's death, he manages to kick then habit, then break out of prison to avenge the crimes. This stand-alone novel gives us interesting insights into Lofthus's psyche, as well as in the motives of several other characters, including the police detective who was his father's partner, and the woman who may be falling for Sonny. It's interesting that although Sonny is a criminal, a drug addict, and murderer many times over, readers can't help but root for him. The end of the novel had a satisfying surprise and an even more satisfying final scene. Sometimes I question my decision to read widely, even the kinds of books that are very dark and violent like The Son, but I often find these books provide the most nuanced, most rewarding look at life. When I was a kid, I loved reading books in series. I tore through the Little House on the Prairie books, hid out on the back porch with the Betsy-Tacy series, and read (and sobbed over) the Anne of Green Gables books so many times that the bindings fell apart. There was just about nothing I liked more than a great character whose story I could follow over an extended period of time. So it's probably no surprise that when I was introduced to the work of PD James in college, I developed a serious crush on Adam Dalgleish, the police detective at the center of most of her novels. I loved his great brain, his tortured past, his sideline work as a poet. I loved the way that he was ageless, modern, and generous of spirit. In the fall of my senior year at BYU, I went to London on Study Abroad. I had the great fortune of creating my own senior seminar course, and decided to read the works of great British mystery writers. But I got sidetracked by PD James. While I was supposed to be reading Wilkie Collins, I was actually heading down to Waterstone's to pick up Original Sin. I think I read all eight of the Adam Dalgleish books she had already written while I was in London, along with both of the Cordelia Gray books. When I saw that she was publishing something new, it was always the first thing I put on my Christmas list. Her mysteries were just so smart and insightful, and Dalgleish was my literary Superman. I wasn't surprised when I heard that PD James died last week (But I'm sad, especially that my literary heartthrob, Adam Dalgleish, has died along with her). She was 94 (and still working on another novel). As I read more of her novels, and learned more about her life, I gained a great admiration for her. While she said in interviews several times that she always planned on being a novelist, she left school at the age of sixteen because she needed to work to help support her family. She married an army doctor in 1941, and had two daughters during the war years. However, when the war was over, her husband's poor mental health prevented him from steady employment, and she continued working. She published her first novel in 1962 (at the age of 42), while working full-time, while caring for her husband and two teenage daughters. In fact, she continued working in the service of the British government until she retired in 1979. Whenever I start to get down on myself for not churning out the great American novel, I think of PD James, who had so many excuses not to write, and whose work showed such a depth of insight that I'm glad she didn't give in to those excuses. In all, despite her late start, despite her full-time job, despite her family's demands, she published more than 20 works of wickedly smart contemporary detective fiction, non-fiction, an autobiography, a dystopian novel, and a Regency romance/murder mystery. So, aspiring writer out there-- don't give up hope-- don't think you have to have that room of your own and five hundred pounds to be a writer. Thanks, PD James, for all of your wonderful books, and for your remarkable life.